I don’t know about you but I am going to spend some time this summer prepping for the new school year. 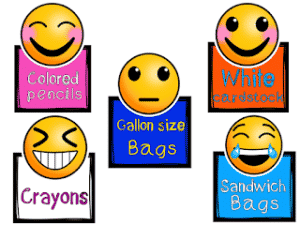 These Emoji Back to School printable wishlist tags are on my to do list. They are small enough to fit on a classroom door, bulletin board, or classroom easel. Or do what I did here and place them in a vase attached to a pencil so parents can grab a pencil and go. They will be less likely to forget what they are bringing in for you. 🙂 Click on the pic above to grab your free set. 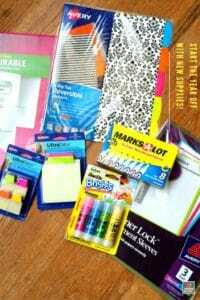 Back to School with New Supplies and Freebies!